Happy Thursday! I just wanted to thank you all again for your amazing response and overwhelming support to my #RealBloggerBeauty post from this past weekend, I am so thankful and lucky to have such amazing friends 🙂 I have read each and every one of your responses to my post, and plan to write all of you back this week. Anyway, if you’re up to some fun, and budget-friendly shopping right now, and love this outfit you can buy the ENTIRE thing in like one sitting. It’s ALL from Target, besides the bag- but Target has a really cute neon bag you could get instead. I just love how it’s a subtle print mixing outfit, and super summery! Lastly- let me just brag on these shoes– they are my favorite. Mainly because they are Birkenstock look-alikes for only $19! They are much cuter than Birks, in my opionion! Let me know if you do buy something (or all of it!) because I want to see it on you 😉 xoxo. This week’s spotlight is Krista of Sugar Loves Chic. Her blue summer dress from last week’s link-up is so darling, so make sure to stop by her blog and say hello! NEXT WEEK: Next week we are featuring summer wedges as our spotlight trend! Thank you so much for reading, and for linking up! 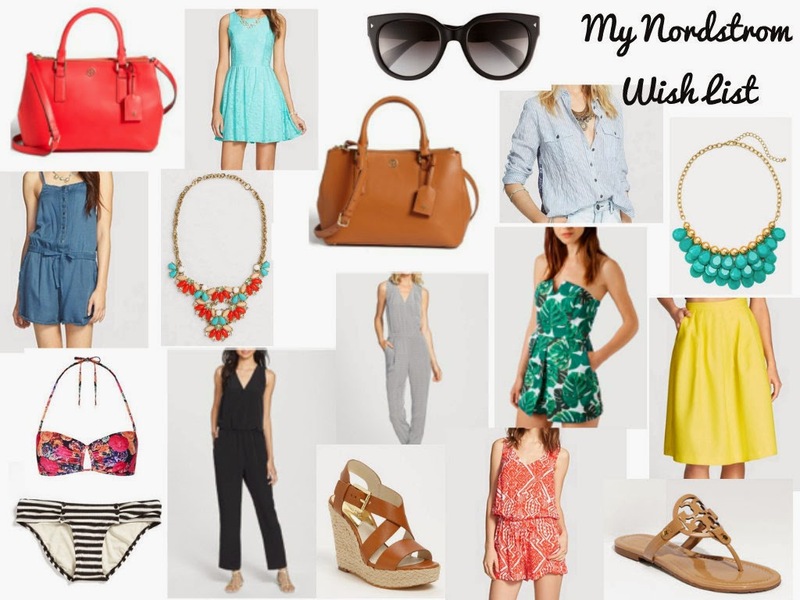 « Giveaway | Win a $500 Nordstrom Gift Card! I don't think I've ever taken blog photos in shorts…so I'll have to get on that soon! Love your pineapple top + shorts combo though, so cute! Love the pattern mixing in this outfit. I have to agree that these are much cuter then Birkenstocks which I am not a fan of. You look stunning in those colors Elle and that pineapple top is too cute. Krita's blue dress is so pretty. Love the pop of color in your shoes. What a fun summer outfit! Love this entire outfit and I've been itching for a Target trip lately, now I have to go!!! I'm loving the pineapple trend right now. 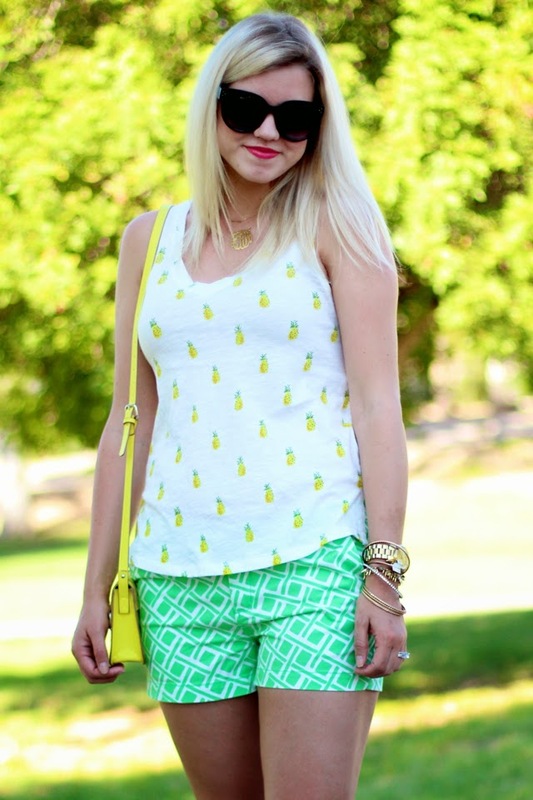 I'm wearing some cute pineapple earrings in my post today! Thanks for the link up, so excited about wedges next week! Cute outfit! Love the yellow and green, so summery! Love this bright summer outfit! Your pineapple tank is so cute! I just bought that pineapple tank top the other day!! Absolutely love how you paired it with the printed shorts! Such a great summer look! I found your blog via the link up and i'm so happy I did! I am loving this shirt and shorts combo! The patterns are so bright and fun! The most perfect summery outfit! Such perfect print mixing. I found your blog through the linkup and I'm so excited to now follow! 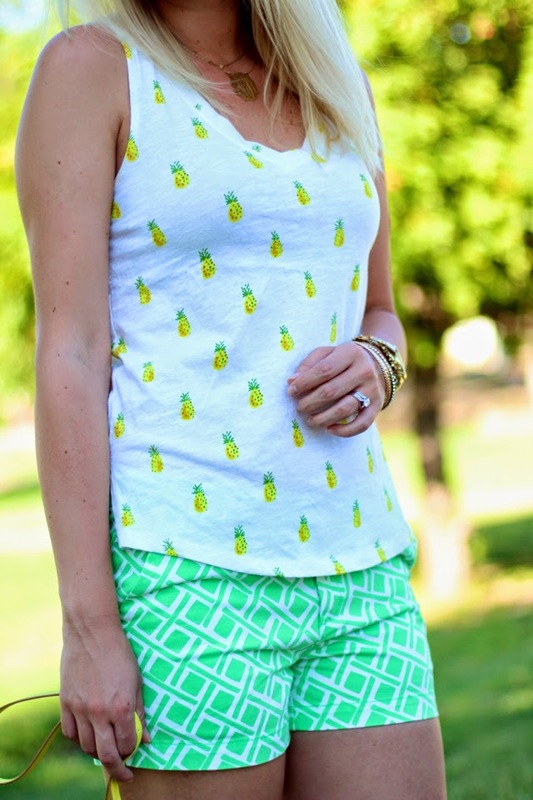 I am loving the pineapple tank with those printed shorts! So fun! I love this combination, so colorful, and those pineapples are so cute. 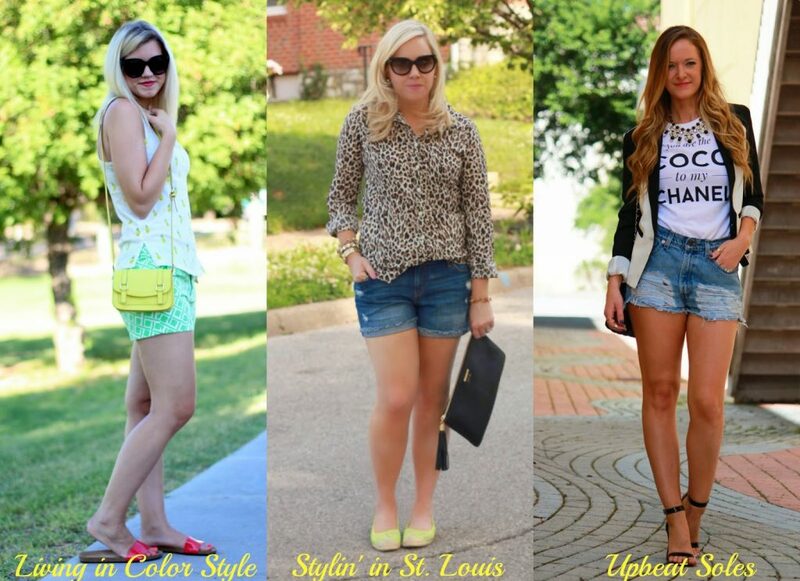 I love those shorts – and the whole look is perfect for summer! These prints together are just too good! So fun! That tee is such a great find. I can't even believe the price. Very cute summery outfit! These prints work so well together! That top is so fun! i love your green shorts! This pineapple tank is so cute. Great on trend piece. Giveaway | Win a $500 Nordstrom Gift Card!